Cornerstone specialises in the installation, maintenance and repair of external wall insulation (EWI), having over a decade’s experience in the industry. 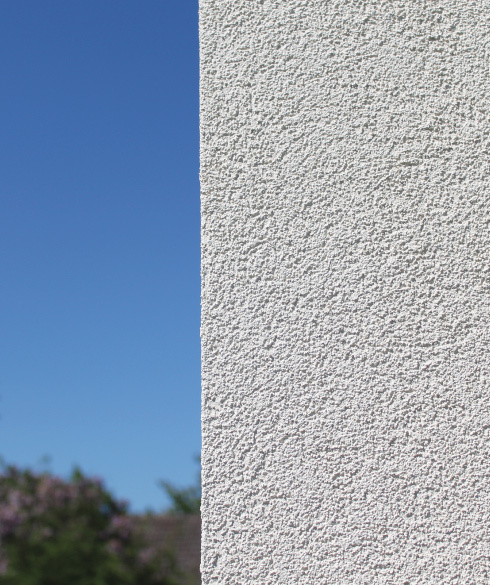 EWI is an excellent solution to improve the thermal efficiency and appearance of solid wall properties, and is largely a low maintenance measure. However, EWI will still require some form of maintenance from time to time – including cleaning, repainting or minor repairs. In some cases, where EWI has been installed incorrectly, more wide-ranging repairs may be required. Similarly, specialist repairs may be required to address accidental damage. Cornerstone is able to offer a flexible and competitive range of services to both individual householders as well as social landlords, protecting your investment and the validity of your warranty. We work with all the major manufacturers and are able to maintain EWI that has been installed by ourselves or other contractors. This is a comprehensive health check of the external elevations of the property. It will be undertaken by an experienced EWI surveyor, who will look for issues including water ingress, blocked vents, leaking water goods, impact damage, performance/appearance issues, broken seals around pipes and penetrations and broken or cracked over cills and reveals. A report will be provided detailing any issues identified, supported by photographic evidence and recommendations for remedial works that comply with the measure warranty. For example, silicone sealant does deteriorate, so is likely to require replacement over the life of the EWI. Any remedial work that may be required would be quoted separately. 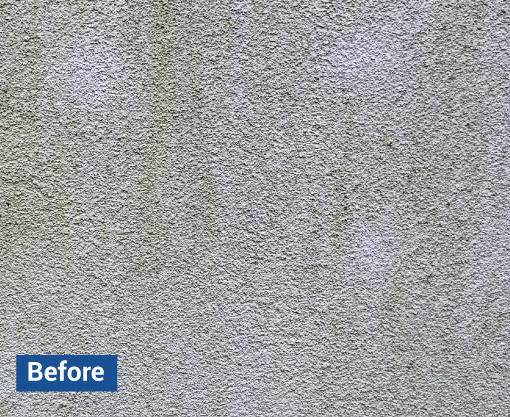 In addition to the health check service above, the property will be thoroughly washed at low pressure and treated with fungicide to restore its clean finish and remove any mould, algae, lichen, and mildew. This service is ideal for acrylic finishes in particular, which are not self-cleaning. In addition to the health check service above, a good quality, water based and vapour permeable masonry paint will be applied to all external elevations. 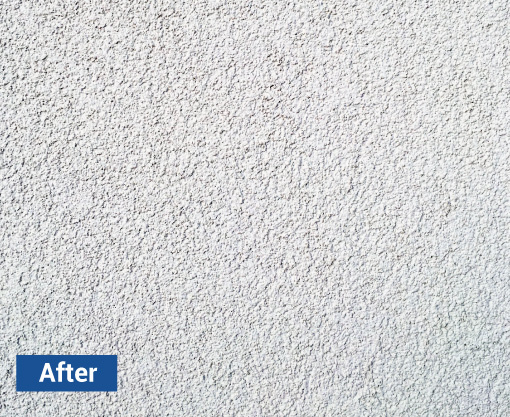 It is recommended by most major manufacturers that repainting is carried out during the measure’s lifetime in order to maintain the aesthetic and protect the EWI system. 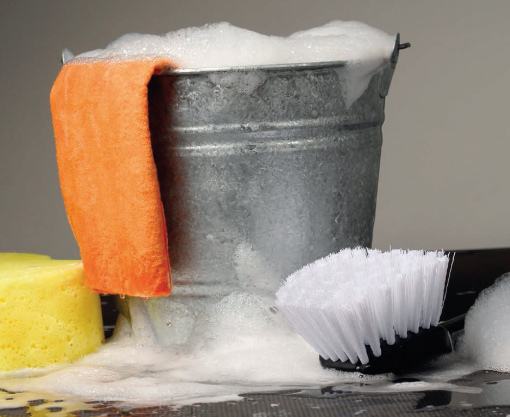 Many also specify usage of their own compatible products in order to maintain the validity of the warranty; these products are often water and dirt repellent and offer additional protection against mould, algae, lichen and mildew. Prices for each package are available on enquiry, with a discount provided for volume for social landlords. In addition, we offer one-off repairs for puncture holes, surface damage, full-depth damage and brick slip damage, plus in-fill works where items such as gas meter boxes have been moved. “In September 2016 your company installed outside wall insulation. I am amazed at the money we are saving on heating – no more wearing coats and sitting covered with a duvet. We would like to say a big thank you for your excellent product." “I am very pleased with the standard of work delivered by Cornerstone, which has transformed the centre. I found Cornerstone to be a very knowledgeable, professional and responsive company that I would certainly use again for similar projects." "I would like to take this opportunity to thank Cornerstone for the excellent job you did on insulating my home. Both the Site Manager and his team have done a superb job and have worked very hard. I was particularly impressed on how polite and efficient every member of the team were at all times. Once again, thank you." However, we can deliver larger projects across the length and breadth of mainland England, from the South West to the North East.